What sets a custom bookcase or storage unit apart from a standard, conventional unit? 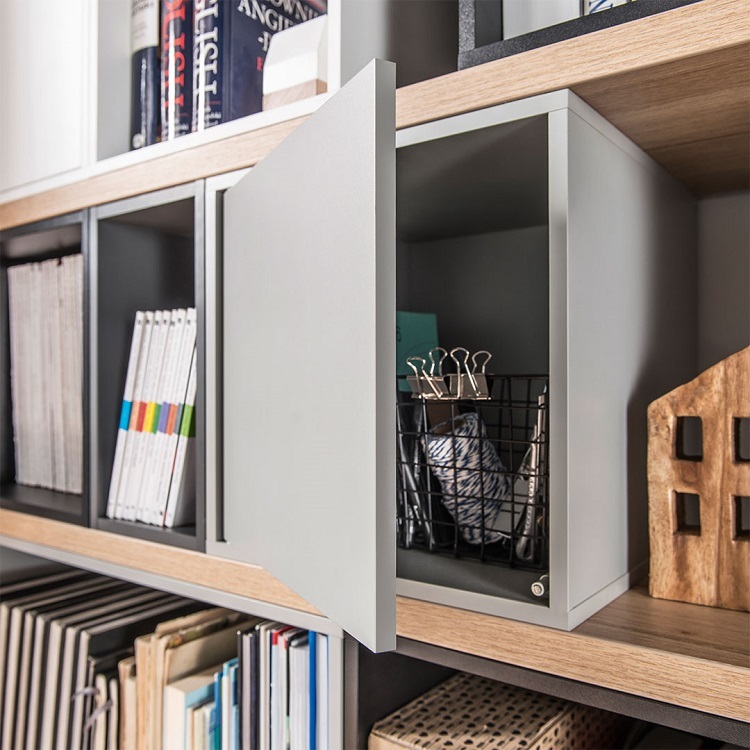 For one thing, you have the ability to choose your own storage, in a way that helps you create the ideal shelving to suit your needs. Whether you are revamping your apartment, planning a home office or updating your current, limiting, storage, finding the perfect balance is easier than you think once you find the perfect custom bookcase or few. Why Design Your Own Custom Bookcase? One of the things that makes a custom bookcase or two the perfect choice for homes of all sizes is that it offers the ability to design your storage around the space you have, rather than the space you wish you had. When you choose a range that is made to blend into your home effortlessly, you have the added advantage of a fully seamless, integrated storage that looks as though it was made to suit your home. Needless to say, that is always a big win. Create a seamless flow between rooms. Bookcases don’t only have to store books. 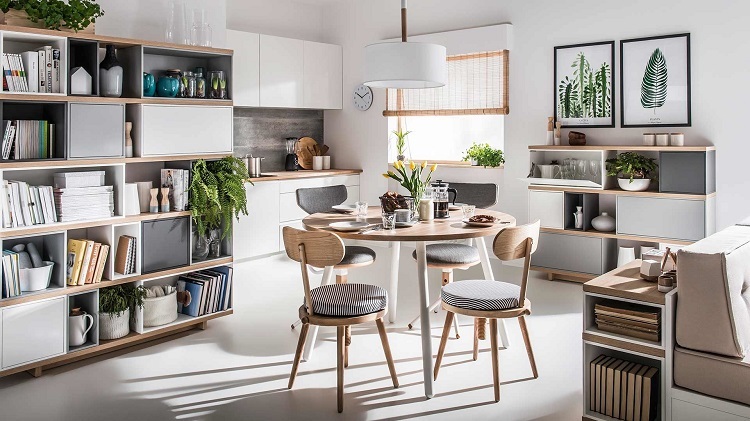 Modular shelving units that offer mix and match shelves, cubes and containers can also be just as effective in a dining room or even in an open plan kitchen. These shelves can be a great way to store just about anything, from decor items all the way to canisters, pots, pans, vases, pot plants, plates, glasses and anything else you need to store safely and simply. Modular shelving units can be used in open plan spaces to transition the flow from living room to dining room and from dining area to kitchen. Mix and match the shelves and storage you need. Combining shelving units of different widths and heights help you plan your very own tailored storage in a way that is flexible and space-savvy. Add-ons such as organisers of different sizes and storage cubes further add to the versatility of this type of storage, making it easier to store items of just about any size and shape. Shelves can be placed alongside one another or positioned in a way that acts as a divider or corner unit. When you mix and match colours, too, the effect is a wonderfully adaptive storage unit that is unique and easy on the eye. Create a flawless, organised home office. 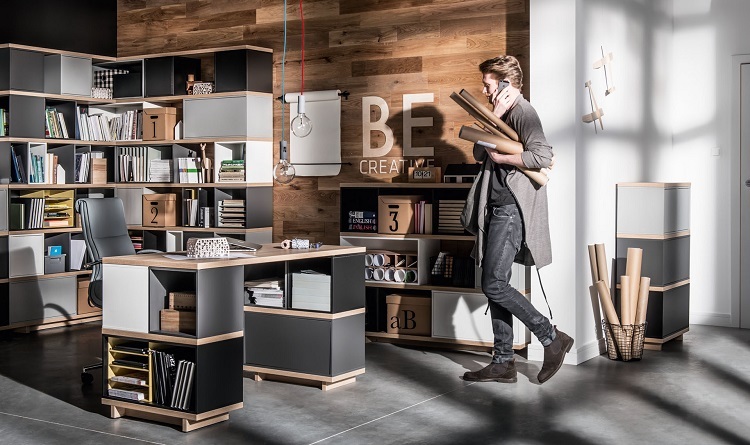 Module bookcases are also an excellent choice for home offices and work areas, helping you create a workspace that is organised and well-designed. Depending on the sizes of the units you choose, and how you arrange them, you could easily create an office nook in a larger open plan studio, or you could create wall-to-wall storage in a dedicated study. Add in a few additional modular cubes and a desk that suits the look and feel of your storage, and you will have a stylish place to work, study and create, with just a few key pieces of furniture. Ready to find your perfect balance? View the full Balance collection to view our beautifully crafted custom bookcase range.